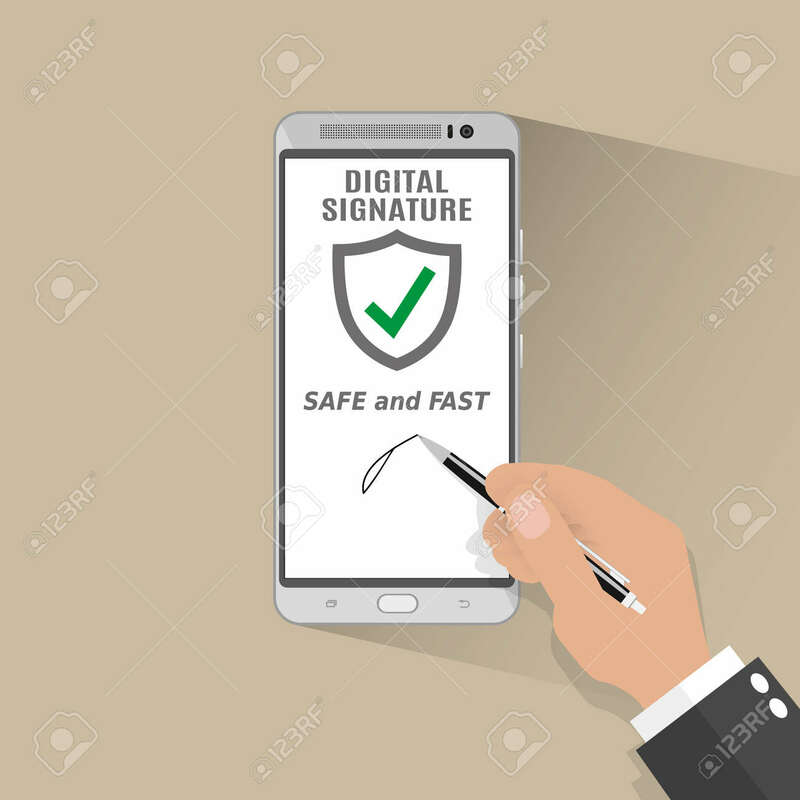 Businessman Hand Sign Digital Signature On Smart Phone. Illustration.. Royalty Free Cliparts, Vectors, And Stock Illustration. Image 50174606.